LAFAYETTE, La. – Downtown Alive! has announce is Spring 2019 lineup, which continues the 35th anniversary of Lafayette’s Friday night concert series. The season will feature a variety of local and regional artists including GIVERS, George Porter Jr. & the Runnin’ Pardners and a tribute to Rockin’ Dopsie Sr.
Lafayette’s "Original Street party" continues the tradition of a family-friendly, all-ages outdoor concert filled with local cuisine, live music and more in downtown Lafayette. “The lineup for this season is such an incredible list of artists and musicians. To us, it represents the wealth of talent we’re blessed with in Acadiana and we are proud to show it off in our Downtown venues.” says Anita Begnaud, CEO of Downtown Development Authority and Downtown Lafayette Unlimited, the non-profit organization that produces DTA! The event begins each Friday at 5 p.m. with the "Happiest Hour", highlighting a specialty drink from a different downtown bar or restaurant each week. Musical performances take place from 6 p.m. - 8:30 p.m. The newly created DTA! Kids area will continue with free activities provided by the Children’s Museum of Acadiana, Lafayette Public Library, and Deuxième Vie Creative. Parking available at Parc-Auto du Centreville Garage and free metered street parking after 5 p.m.
Come hungry. DTA! Manger will continue to provide a variety of local food vendors. Concession sales help keep DTA! free. Please leave your ice chests at home with your pets. DTA! is a smoke-free event. Downtown Alive! is supported by contributions from Lafayette Coca-Cola, LUS, Teche Drugs, Lowry’s Printing, Townsquare Media, Delta Media, Event Rental, and Potty Girl. 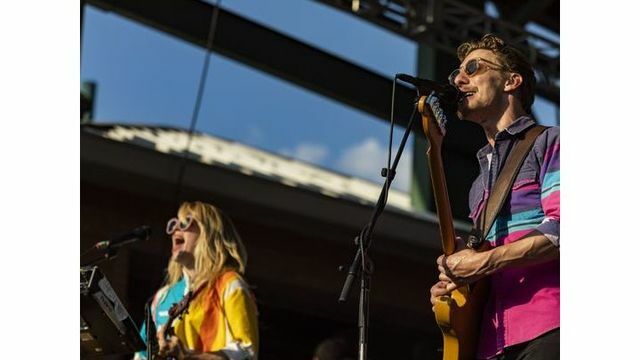 The concert series will host performances from an assortment of musical genres including rock, Cajun, zydeco, funk, soul, and more—all from the stages of Downtown Lafayette’s Parc International and Parc Sans Souci. For more information, visit downtownlafayette.org.